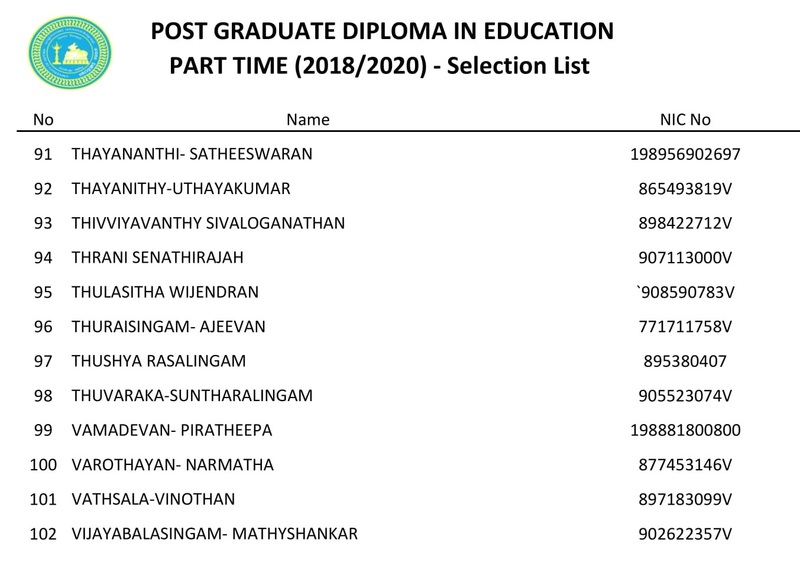 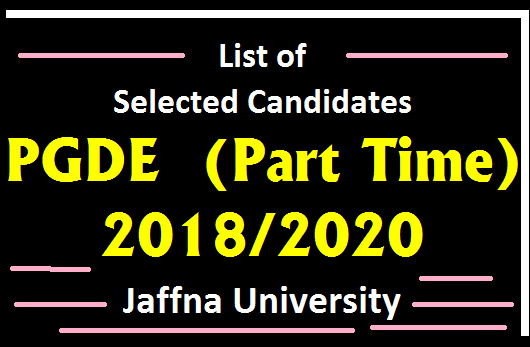 The list of selected candidates who have been selected through competitive written examination and competitive interview to follow the Postgraduate Diploma in Education (Part time) programme for the academic year 2018/2020 appears below. 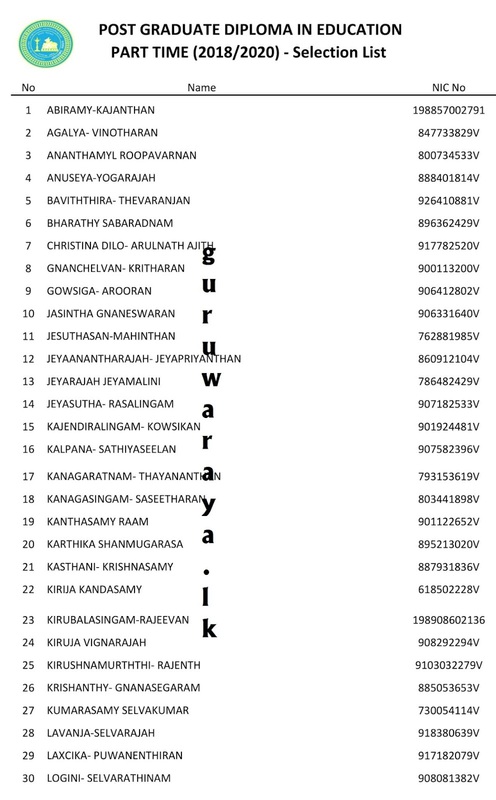 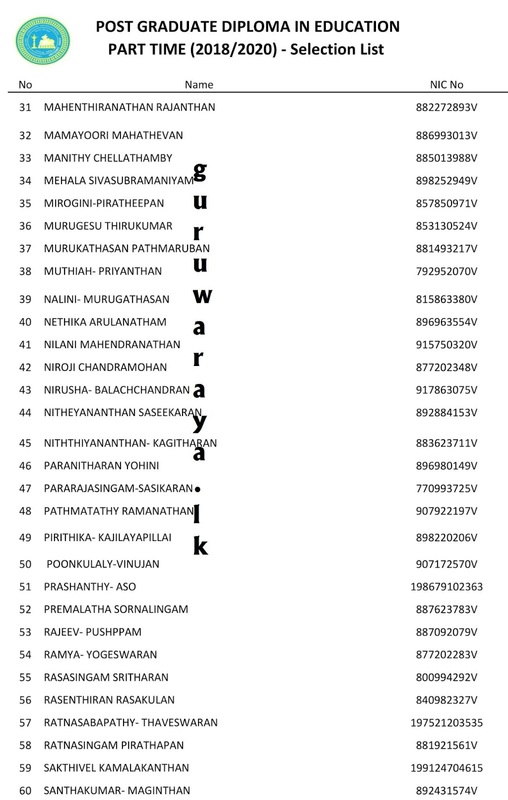 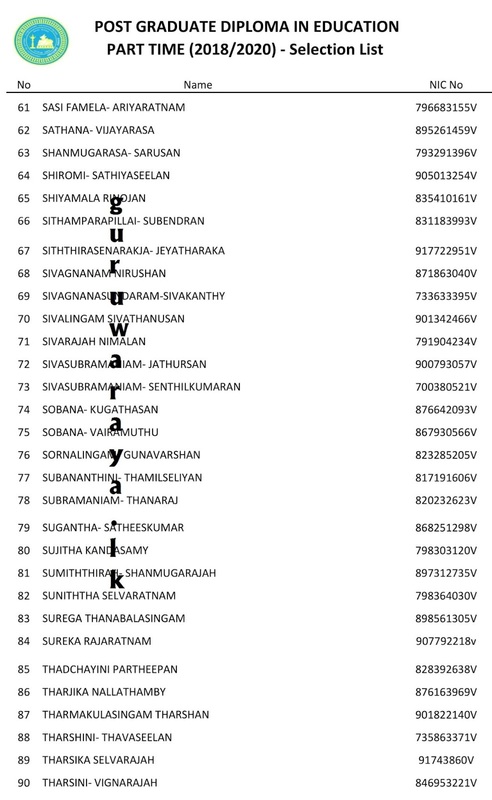 The candidates are hereby requested to contact to the following address from 31.01.2019 to 02.02.2019 , 9.00 am to 12.00 noon (three days)and complete their admission formalities. 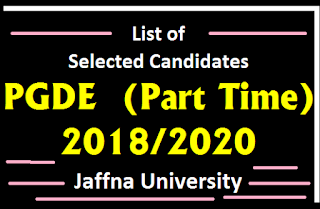 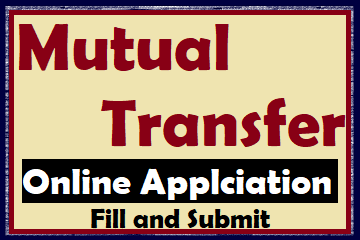 Those who fail to register them as students, would be treated that they are not willing to follow the course and their vacancies will be filled from waiting list.